Spaghetti Goemon, or Yomenya Goemon is now one of my favourite spaghetti place in town. The pastas came in really generous servings.. and are all cooked perfectly al dente. The Mediterranean Tomato Cream Soup Spaghetti is one of their best seller. And it is easy to see why. It was delicious - the soup is slightly tangy, not too creamy and the little dallop of Japanese mayonnaise worked like a charm to make the taste pop. The soup was so good I finished every last drop. I've also tried the Fresh Nori, Shrimp and Clams spaghetti that is a soy-sauce and garlic based spaghetti. The Mentaiko, Shrimp and Japanese Herb Ao-Shiso spaghetti is also uniquely Japanese-styled and delicious. I also love the radish salad - it was fresh, crisp and cold. I think it's a really simple Japanese-flavoured salad.. although I would very much prefer it without the bacon bits. Apart from the radish salad and spaghetti, I never found space for desserts, so I don't know.. but they looked pretty good too. If you have the chance to have lunch or dinner at Citylink Mall, or Marina Bay Link Mall, or the other places that Spaghetti Goemon seems to be all opening at, do give these noodles a try. I highly recommend the Mediterranean Tomato Cream Soup Spaghetti. 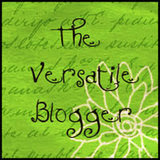 thanks for stopping by my blog for a visit! Hi OKC, thanks for stopping by. To be honest, before visiting your blog I thought you are a kitchen cabinetry company :). Glad I stopped by as well as I really like your blog and the feel I get from it. I lived in Singapore for 10 yrs before moving back to KL 2 yrs ago. In my next visit, I should check out Citylink again. The pasta looks simply divine!! It's making me hungry like right now!! I am so going to try theplace!! Haha..didn't realise got such thing as nyonya tiramisu there. quite funny. the mee siam at alexis is yummy!!! try it next time you're there. very sedap!